Explore interesting wines as you walk Flagler Avenue from 1-7 p.m., Saturday, March 23, 2019. During the progressive event, taste your choice of more than 100 showcased wines. 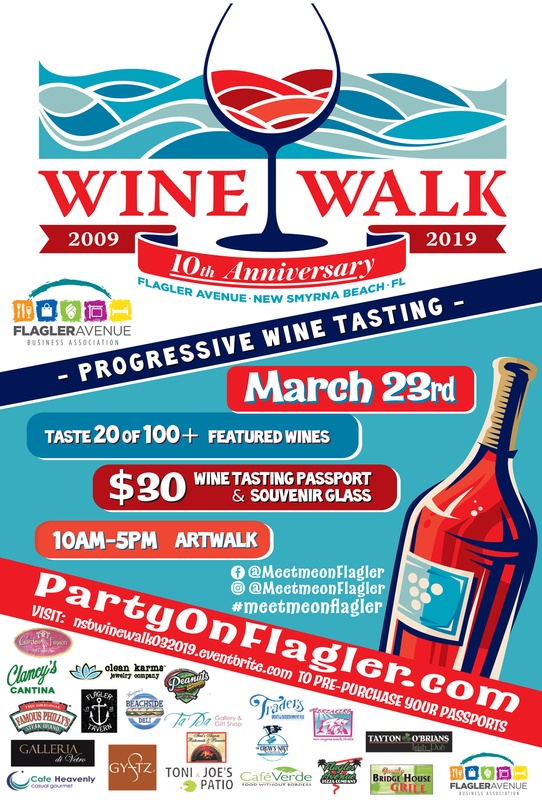 Wine tasting passports are $30 and are available at Exit Realty (Flagler & Peninsula), at the tent at Flagler Avenue and Cooper Street, or at the corner of Peninsula Drive and Flagler Avenue. Passports include 20 tasting tickets and a keepsake wine glass. Some locations feature both one- and multi-ticket wines to sample. Those who want to share their 20 tasting tickets with a friend may get an additional wine glass for $5. Flagler Avenue will NOT be closed for this event which takes place inside sponsor locations.